With January in full force, the days of having a romantic dinner outside on a patio are without a doubt behind us. Instead of fighting the below-freezing temperatures, heavy winds, and piles of snow to make it to that dinner reservation on time, it’s time to turn up the heat—both literally and figuratively—and transform your home into the ultimate date night space. Being at home doesn’t always have to involve a couch, a movie- and inevitability, you falling asleep! From wine and cheese to rowdy, board game nights, we’ve compiled a fun, hands-on list that will allow you and your partner to keep the spark alive, without stepping into the dead of cold. 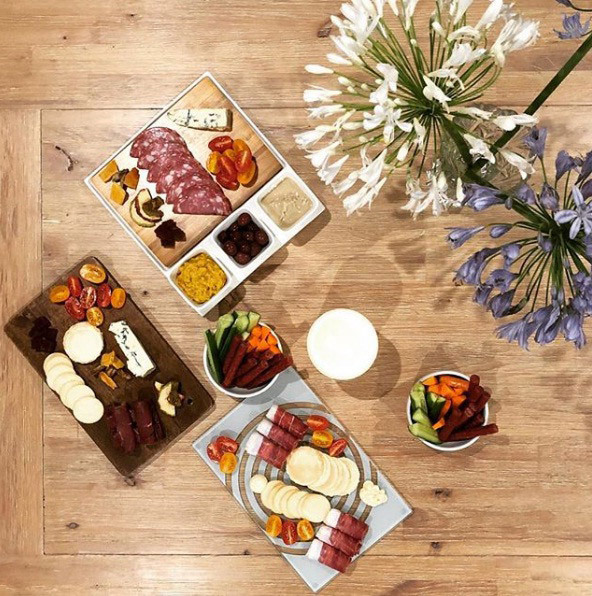 It’s time to put that Instagram worthy charcuterie board to use! Assemble a collection of your favourite cheeses and crackers with a few other snacks in the mix – popular choices include olives, grapes and even chocolate to satisfy your sweet tooth. Paired with a bottle of wine, this quick, at-home, intimate dinner party is a winning alternative to takeout or lining up for a pricey restaurant. Who says cooking has to be a chore? Invite your significant other into the kitchen for some Italian style fun. Put a creative twist on the classic, cheesy comfort food and create some mouth-watering combos together. Try BBQ Chicken pizza, Creamy Spinach Artichoke pizza or even a Cookies ‘n Cream dessert pizza. Try putting on some music as you prepare your toppings, and get ready for a cozy, entertaining night in the kitchen. Bring back some of your childhood memories and welcome the return of board games for an easy Sunday night date. From classics like Guess Who, Monopoly and Scrabble to new favourites like Speak Out, you and your partner are guaranteed to share some laughs. Don’t be afraid – it’s time to show your significant other your wild and competitive side! The number one perk of being at home is that you can recline on the sofa with your feet up and wear your favourite sweatpants, which you may not be able to do at your local board games cafe.